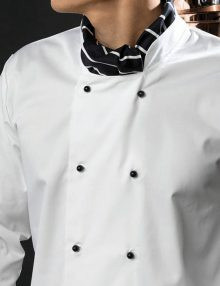 One element of the chefs uniform which hasn’t changed a great deal since its introduction is the kitchen is the chef’s jacket. 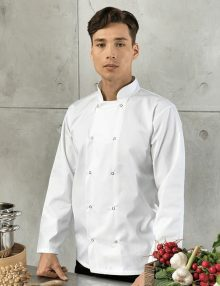 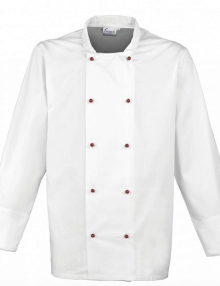 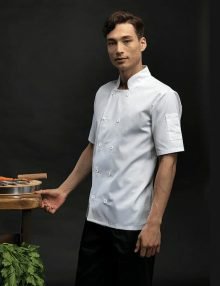 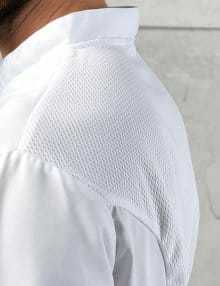 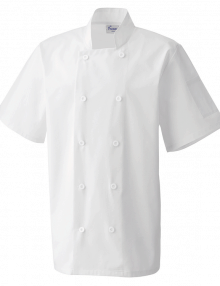 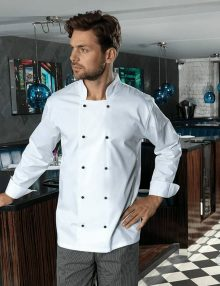 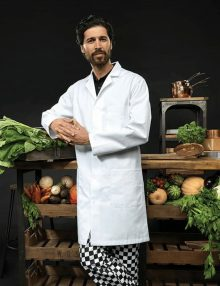 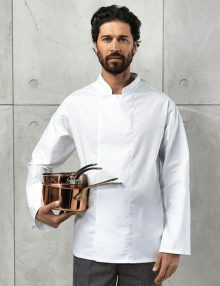 A key part of the chef’s whites, the double breasted chef’s coat can be reversible, and made of durable, breathable cotton, which is vital in the hot kitchen environment. 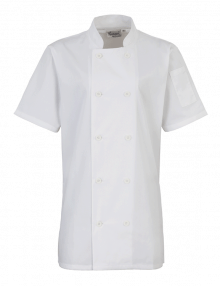 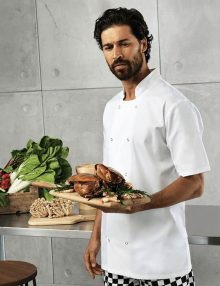 Whether you’re looking for standard fit chef whites, or a fitted woman’s chefs’ jacket, Banksford can supply you with chef whites to suit your budget. 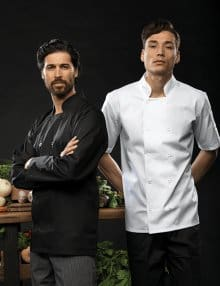 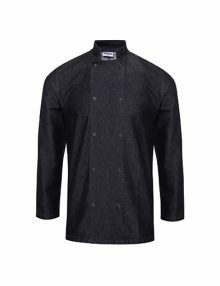 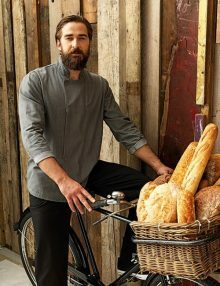 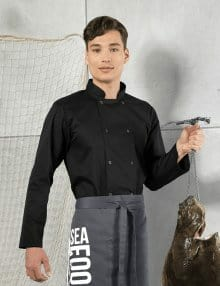 We also sell denim or black chef jackets for those looking to creating a modern twist, whilst having a practical chef uniform. 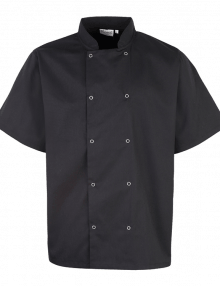 Why not create and order a personalised chef jacket with your name, flags or company logo. 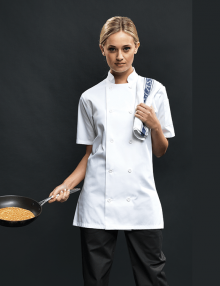 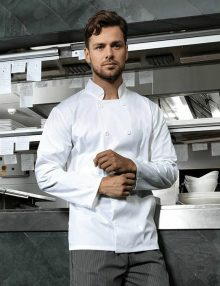 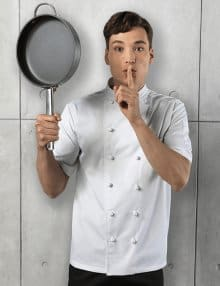 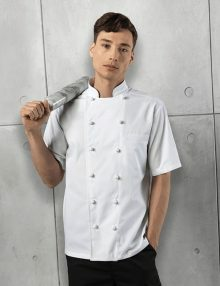 Speak to us today for any more information on our chefswear range. 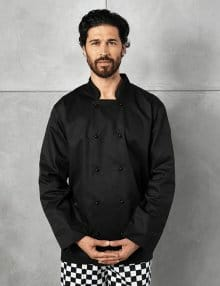 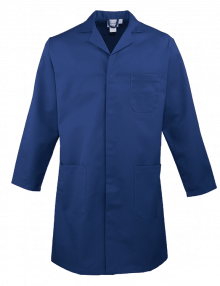 The design of chef jackets has hardly changed since their introduction in 1822, so why not purchase your personalised chef coats from Banksford, safe in the knowledge that their top quality performance won’t change either?